All the great flavor of the famous McDonald’s Big Mac, in a smaller package. These grilled Bic Mac sliders are the perfect bites for a party. And actually, they’re great for dinner too. If you’d rather make the bigger version, I have made them too. I love Big Macs off the grill. That flame char really adds a lot of flavor to the burgers. I use my Weber slider presses to make a big batch of grilled Big Mac sliders quickly. They come out uniform and shaped perfectly. I can crank out a massive batch of sliders in no time, that’s for sure! Also try my Big Mac slider hoagies. Combine all ingredients. Refrigerate until ready to use. Form ground beef in to 16 2 ounce patties. Season with salt and pepper. Grill burgers until done. Top with cheese. Assemble burgers by slathering bun bottoms with special sauce. Add some onion and lettuce. Top with a burger patty and dill pickles. Add a bun bottom. Slather it with sauce and add onion, lettuce, a patty and more dill pickle. Top with another burger bun top. Skewer with a long bamboo skewer to hold in place. 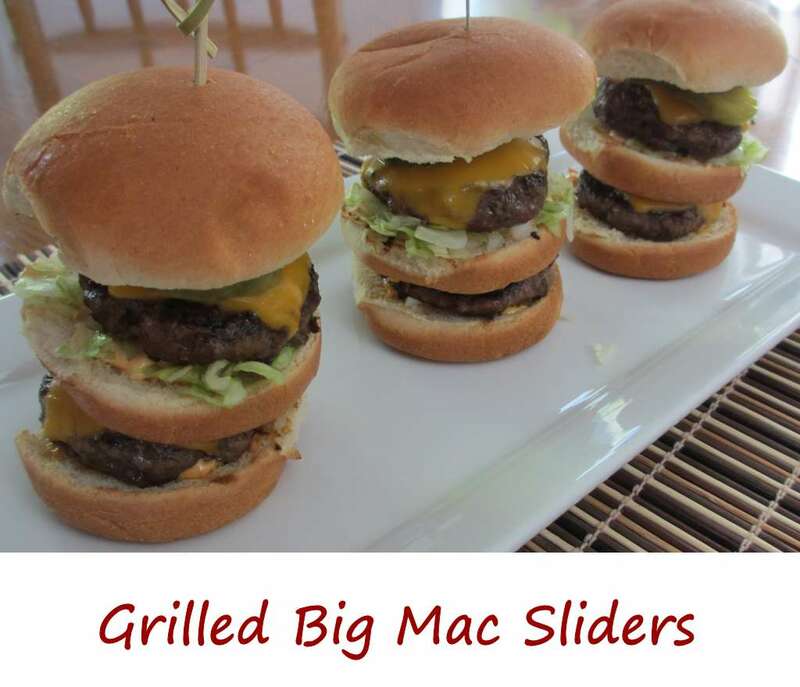 This entry was posted in Copycat Recipes, From the Grill & Smoker and tagged big mac silders, Grilled Big Mac Sliders, Grilled Copycat Big Mac Sliders, McDonald's Big Mac Sliders, recipe by Mike. Bookmark the permalink.